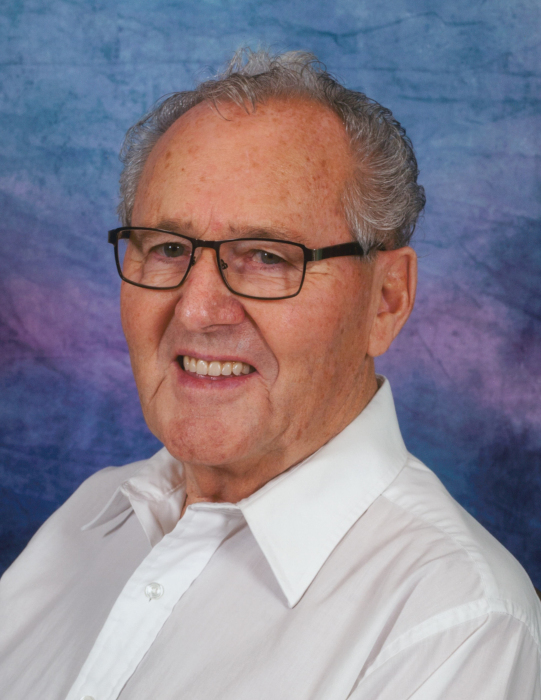 It is with heavy hearts that the family of John Louis Morrison of Saskatoon, SK announce the passing of their beloved husband, father, grandfather and great-grandfather. John was born and raised in Hoey, SK to Norman & Auxile. When he was younger, John enjoyed taking his horses to local sport days, giving rides to the kids for 10 cents/ride. He worked in Churchill, MB as a stevedore, loading grain onto ships. He met Evelyn (nee Billo) and soon after they were married in Domremy, SK on April 18, 1964 and made their home on a farm in Hoey, SK. Together they farmed grain, and raised hogs & cattle. In 1984 they moved to Saskatoon where he worked as a crop adjuster, courier driver and property investor. John’s faith was strong which was a great source of strength and comfort. He never missed a pilgrimage in St Laurent and attended daily mass at Colombian Manor. John’s greatest pride and joy was time and special moments spent with his family & friends. This included summers at Wakaw Lake, weekly Thursday suppers with the grandchildren, gardening, and fishing with his sons. He took pride in growing his prized sunflowers. John was known as a prankster. He loved teasing and playing practical jokes. He had a fun-loving attitude; dressing up in costume and entertaining us with his many characters. Many will remember John for his unique collectibles and endless supply of Christmas lights exhibited year-round. John leaves behind his loving wife Evelyn of 55 years, his children NORMAN (CHARLENE) and their children Justin (Sheena) and Jadon; MARCEL (LONNA) and his children Kayla (Mark) Goshulak, Kory (Melodie) and Taron; LÉO (RHONDA) and their children Taylor and A.J. ; DESIREE (ALLAN) Tirk and their children Dakota, September and Sierra & KEVIN (JOELLE) and their children Jasmine, Rebecca and Kateri. He also leaves behind 4 great-grandchildren Aneehs, Mya, Everett and Celeste. John is survived by his siblings Duncan (Joan), Norma (Sylvio) Gaudet, Douglas, Ken (Marlene), Evelyn, Marilyn and Mel (Sheri). John was predeceased by his parents Norman & Auxile, sister Christina (Aubin) Grenier and brother Donald. The family wishes to thank the wonderful staff at St. Paul’s Palliative Care Unit for their compassion, care and support. In lieu of flowers, donations in John’s memory may be made to Light of the Prairies Society Inc. (925 McKercher Dr., Saskatoon). The Vigil for John will be held at 7:00 p.m. on Friday, April 26, 2019. The Mass of Christian Burial will be celebrated at 1:30 p.m. on Saturday, April 27, 2019. Both services will be at Holy Spirit Roman Catholic Church (114 Kingsmere Pl.) in Saskatoon. Celebrant will be Rev. Fr. Denis Phaneuf. Arrangements are in care of John Schachtel – Mourning Glory Funeral Services (306) 978-5200. There's still time to send flowers to the Vigil of Prayer at the See Obituary Text at 7:00 PM on April 26, 2019.